The new BMW X3 gets a full panoramic glass roof, the Display Key, and a retuned engine that produces more power than before. Will it be able to continue BMW's momentum of sales going forward? Back in 2016, when we drove the second generation BMW X3, we hailed it for its fun-to-ride spirit and the true blue SUV characteristics. 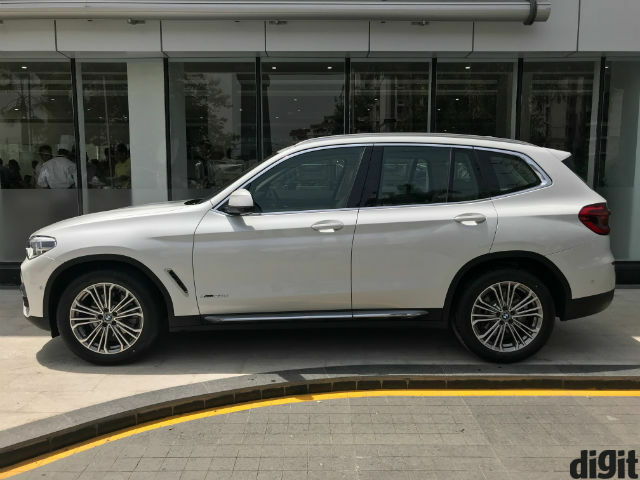 BMW India withdrew the mid-size luxury SUV last year in anticipation of the new generation’s arrival in India, and now, it’s finally here. 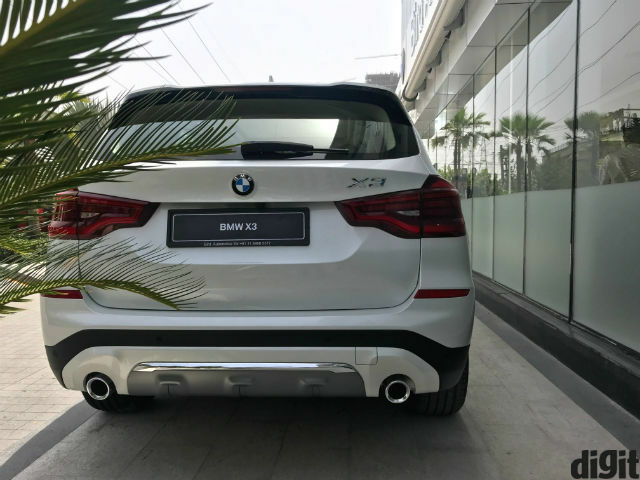 The third generation, 2018 BMW X3 SUV has been launched in India today with two variants, and is priced at Rs. 49.9 lac and Rs. 56.7 lac, respectively. So, what has changed? Quite a fair bit, to be honest. The X3 does not look burly any longer – instead, it has this sense of flowing elegance that you would seldom see in SUVs. 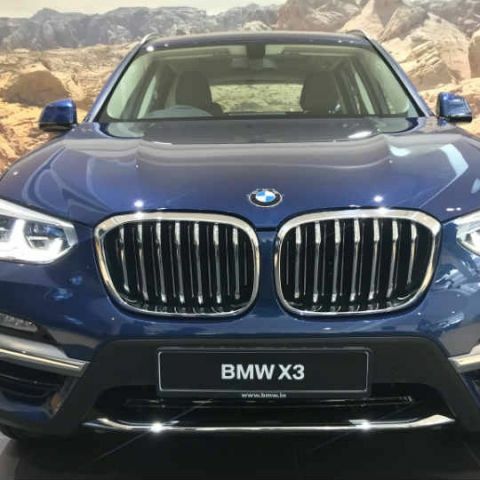 The new BMW X3 is based on an all-new platform that makes the car lighter, and along with the lesser body weight, BMW has added a few more horsepowers to it. As a result, the new X3 is still powered by the trusted 2-litre, 4-cylinder twin-turbocharged diesel workhorse, but now produces 190bhp and 400Nm torque. For reference, the BMW X3 xDrive30d M Sport of the previous generation produced only 177bhp, and that says something. BMW has unveiled the X3 only with the standard Diesel engine, and stated that a petrol engine will follow soon. To list all that’s new would begin with the engine, which – like we mentioned above, now produces more power than before. Cosmetic changes are not major, except for smoother flowing design lines now in place of the sharper edges. Even the chrome-laden butterfly grille look different from before, although it does look a bit timid and car-like than before. While I personally love it, many SUV buyers will disagree. For more photos of the new BMW X3, click here. The BMW X3 is now available in two trims – the Expedition and for the first time, ‘Luxury Line’. New to the setup are a set of 19-inch wheels with new design for the alloys. These look quite smart, and have a sense of occasion about them in the way they pose. Otherwise, there aren’t too many changes to highlight, at least from the design point of view. On the inside, the new generation BMW X3 delivers a few more changes than on the outside. 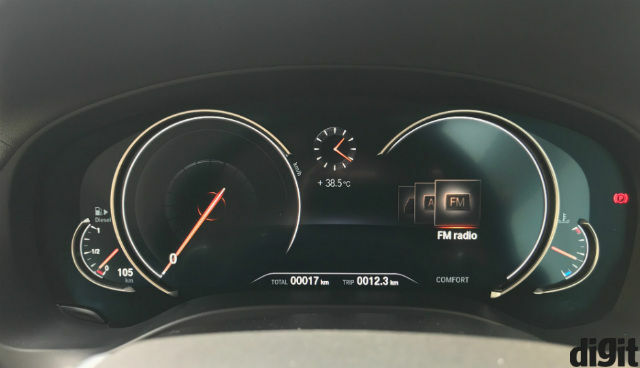 For starters, you get the new generation almost-digital instrument cluster, which replaces the traditional speedometer and tachometer for blank, dark digital panels. These show information only when either the car is in motion, or you access its control via the steering-mounted keys. In the space left between the chrome-ringed speedo and tacho, the digital display system shows the multi-information tripmeter and odometer. The infotainment system gets an upgrade, and is based on the iDrive firmware that also powers the 5-Series and 7-Series cars. The screen is bigger now, at 12.3 inches, and seems to fit the typically BMW dashboard seamlessly. It is a fully touch-operated unit that retains the iDrive controller, and we’re happy that nothing has changed on this front. The circular main menu design is now replaced by the horizontal column-like tiles, but hope as we may, the X3 does not get gesture controls. It also gets parking assist, although the monochrome Head-Up Display (HUD) has not been continued to the new generation X3, at least in these two variants. 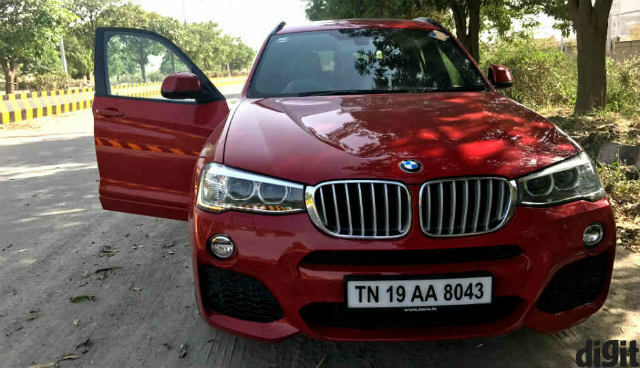 Nevertheless, the new generation BMW X3 does get High Beam Assist, along with a larger panoramic glass roof, a six-colour ambient lighting system with footwell illumination and exterior welcome light, and in the biggest highlight inclusion from higher segment BMWs – the BMW Display Key. 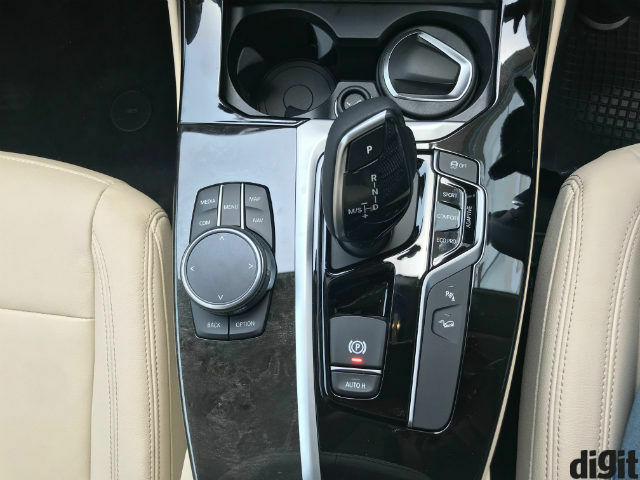 This is the same smart key that we’ve already seen and used in the BMW 7 Series and the new generation 5 Series sedans, but comes to the X3 in a slightly stripped-down nature. While it does get remote locking and pre-temperature conditioning along with fuel gauge monitoring, it does not get the remote autonomous park-in and park-out features. The last three of the new features include 9º reclining rear seats, wireless charging and a 600W, 16-speaker Harman/Kardon surround audio system. To read about how the old generation BMW X3 fared, click here. Much about the BMW X3’s original essence remains the same. Step into the new X3, and you do not feel like you’re inside a very heavy car. It looks and feels agile, which fits with its positioning as a mid-size sports activity vehicle. It also retains the 550-litre boot space, and gets a space saver tyre strapped in underneath the rug of the boot. The dashboard, as always, remains almost exactly the same. The driver-oriented design gets a two-tone leather upholstery, and the buttons now get a faux-metal finish to look like those of the 5 Series and the 7 Series. 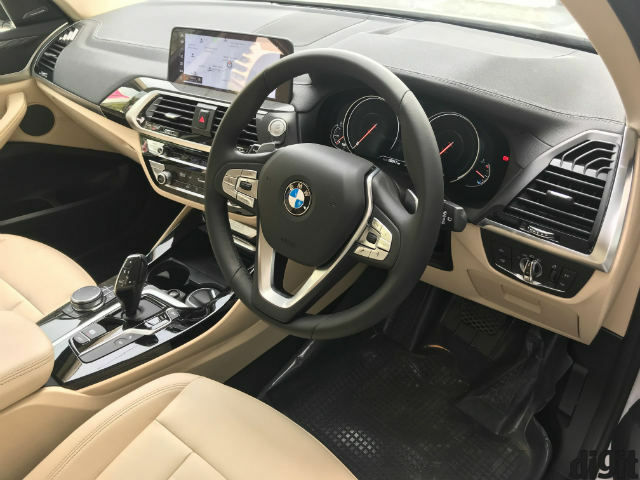 But apart from that, the overall dashboard, instrument cluster, steering wheel, layout of buttons, and the central console comprising the iDrive controller and the gear knob are all typically BMW. While that is good, the design has started showing signs of fatigue, especially after all these years of being around. What also remains more or less the same is its competition. The mid-size luxury SUV segment is one of the most popular ones among luxury car buyers in India, and the BMW X3’s competitors include players like the Mercedes-Benz GLE Class, Audi Q5, Volvo XC60, Jaguar F-Pace and the relatively new Lexus NX 300h. The BMW X3, hence, will face stiffer competition than ever before. Will it, then, continue to be as popular as it has been for BMW? The company will certainly hope so. What are the new android games in aug 14? What are the new gadgets available in market ?